A Vanuatu MP has praised New Zealand's parliament for its recognition and engagement with communities. 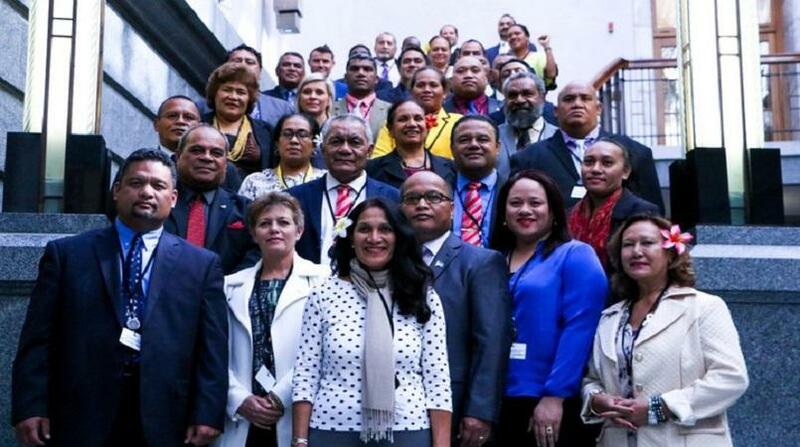 RNZ reports Andrew Solomon Napuat the Member of Parliament for Tanna constituency was among 40 Pacific parliamentarians in New Zealand last week for the Pacific Parliamentary Forum. Mr Napuat said what he found particularly intriguing about New Zealand's parliament was its recognition and engagement with Maori and Pasifika peoples. He said Pacific parliaments should emulate New Zealand and establish closer connections with rural communities. "This is something that we should encourage and it is my hope that future politicians continue to treasure this." "Because my fear is if we lose this then we might be formulating a society that might not be suitable for the people and especially the generation that is yet to come in the future," he said. The Pacific Parliamentary Forum wrapped up on Friday last week with delegates debating on the floor of New Zealand's parliament on climate change, Pacific resources, security and governance, and Parliament and the community. Earlier last week the delegates were in Auckland where the focus was on community, business and MP constituency engagement.